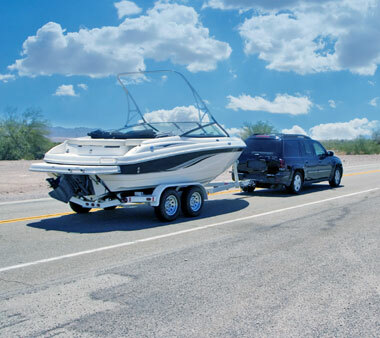 At The Storage Inn of Egg Harbor Township, we have an area designated for boat and vehicle storage. We are located well enough inland to provide a very safe storage option for keeping your boat away from the potential harm cause by storms and other natural disasters. Before you put your boat away for the season take another spin and make a note of all the little things you've been meaning to repair or tidy up during the recreational season. Remove as many items as you can and take them home to run through the dishwasher, washing machine, or hose it off. Take the time to thoroughly clean your boat from top to bottom. Empty all the drawers and lockers. Remove any food particles from cracks and crevices to prevent unwanted guests from taking up residence. Wipe down any wood with lemon oil. Leave doors and drawers open to allow the air to circulate. Store your boat stern down so that rain and snow will drain out through the scuppers. Open drains and seacocks to prevent damage caused by freezing. Never tie off boat covers or tarps to boat stands. Add moisture absorbers in the lockers and the cabin. It's best to never use a portable heater or auto battery charger in the bilge. The Storage Inn offers insurance to our tenants for their stored possessions at a price that is about half of industry standard rates with no deductible and superior coverage.